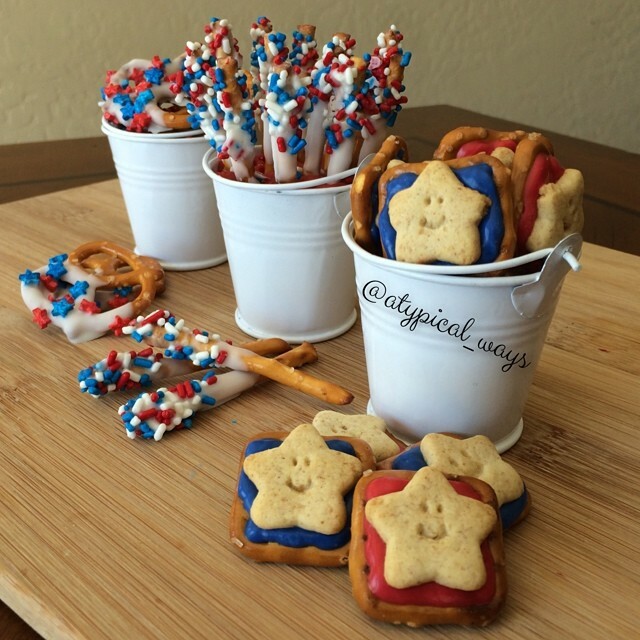 4th of July Pretzel treats! 4th of July Pretzel treats! Square pretzels topped with red & blue chocolate and a graham cracker star, white chocolate dipped pretzel twists & sticks with sprinkles! « Peanut butter & jelly sandwiches with fruit, yogurt and a babybel cheese!